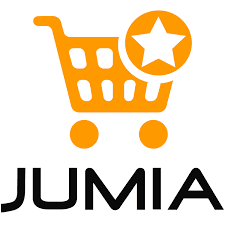 Jumia Kenya is the fasted growing trading platform in Kenya and one of the biggest in the continent.You can make payments for your purchases on Jumia through paypal, Mpesa on cash on delivery. In this post, we look at the Jumia Paybill number and how to go about making the jumia payment through Mpesa. 4. Key in the amount you wish to pay for. Ensure that you enter just the right amount. Do not overpay or underpay. 5.Key in your M-Pesa PIN. 7. Wait for a confirmation message to get the transaction confirmation code. Congratulations, you just completed your Jumia Payment through Mpesa. Now all you have to do is wait for a call from one of Jumia representatives. You can get a new brand new phone this month with incredible mobile week deals on Jumia Kenya. You can pay your GOTV bill through Mpesa. Learn how in this post. hi how can u know the maturity date? Is delivery fee paid together with the amount of goods via mpesa or the delivery is paid later? A! Trying to put JUMIA as account number while paying mpesa and its refusing the account number ? Normally, dialing *234# and following the prompts allows you to query the transaction charges of any PayBill business number. However, Jumia’s PayBill #510800 cannot be queried. You get an error saying the number is invalid. But, I can confirm it is the one I used to pay for an item I bought on Jumia. I wonder why it is behaving like that.